I first learnt about the new DAX UNICHAR function in Power BI by reading Chris Webb’s blog (which was also the inspiration for this article today). One of the uses of the UNICHAR function is to be able to include non text characters inside visuals. When you combine a logical set of these codes (icon sets) you can create useful visualisations like the one below. Note at this time it is not possible to apply conditional colour formatting to a measure that returns a text value (such as the Trend measure above). One good use for UNICHAR characters in Power BI visuals is to use them for conditional formatting like in the first image above. In addition you may be aware it is good practice to avoid relying on colours in visuals that cannot be interpreted by colour blind people. UNICHAR characters can help here allowing you to use both colour with the numbers and an icon to indicate direction. Identify what you want to communicate. eg variations in performance, achievement of target. Find a set of icons that communicate the concept well. I have chosen the following 3 characters with UNICODE 11165, 11167, and 11166 for this demo. Next, you need to write a DAX formula (measure) that will return the relevant character using the UNICHAR function. Note in the example below, I have used the VAR syntax to make the formula easier to read and maintain. When the above measure is added to a table, it looks like the image at top (shown again below). The next step is to choose the icon set characters that communicate tracking vs target. In this example The purpose of a KPI is to know if the required target is met or not, or how it is tracking. So, I have chosen the following characters with UNICODE 128504, 33, and 128500. The final Table visual looks like this. There are many characters available that you can access via UNICODE. Here are a few (I will update it as I find more useful characters). I would love to hear from you about which character codes you find most useful for your Power BI reporting. I will then edit the section above in this post as a master list for others to reference. Note that UNICHAR is not available in Excel as yet. Edit: Be sure to read Jes’s comments below (Oxenskiold). Because of a lack of native KPI’s in Power BI this is great! Thanks. Hope the Power BI teams comes with KPI’s like Excel and SSAS. 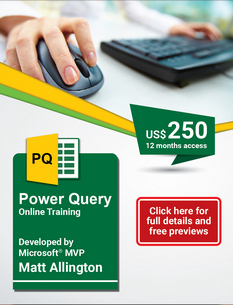 Do you know know or expect it to come to Excel Power Pivot as well ? No, I don’t know anything other than the DAX language is first developed in Power BI, and I assume that MS doesn’t plan to end up with 2 different products (3 if you include Tabular). I do expect it to come to Excel, but I have no idea when. You could also try generating a list of numbers and adding a calculated column that shows what the corresponding Unicode is. However, depending on the range, it can be a very long list! 1) Any ordinary Unicode character (as opposed to emoji Unicode characters) you choose will have to exist in the font that power BI uses. In case of Excel any Unicode character will have to exist in the font that the relevant cell(s) is formatted with. This principle applies to browsers as well. That’s why you in some browsers will see a blank square for the missing character instead of the character you expected. The font used (perhaps user configured) doesn’t have this character and falls back to the missing character symbol. So if you choose a character and a blank square is shown in Power BI the reason is that the character doesn’t exist in Power BI’s font. 2) To the best of my knowledge the current version of Unicode doesn’t define a code point (character) with a specific color. It’s up to the operating system (via text services like Rich Edit in windows) or the application to do that. The way this is done is usually that the application or OS intercepts the relevant code point (e.g. 128515 for a smiling emoji) and replaces that character with an icon or bitmap. That icon or bitmap can look completely different from what you see on the Unicode consortium’s web site, it can even be colored/shaped differently from application to application or OS to OS. I’m not sure this is implemented in Power BI or Excel. After all those tools are not strictly speaking social media tools. Thanks Jes (Oxenskiold) for the comments. I was going a bit mad since I wasn’t able to figure out what the issue was. Are there any recommended testing platforms prior to publishing (in my case to an embedded app)? what must i do with blank values? Does any one know unicode characters of red and green circles? 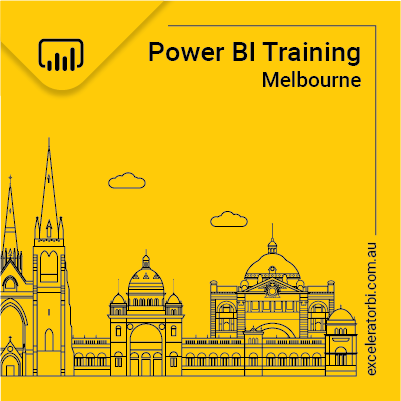 Hi Matt, this is great, except for me, for some reason it works in Excel (connected to analysis services) but doesn’t in Power BI (same analysis services source). Power BI is showing the same icon, which is the icon for the total, but applying that to all the rows. If I replace the UNICHAR characters in the SWITCH TRUE statement with “HIGHER, SAME or LOWER” it works correctly in Power BI. Hi Alexis. I don’t really understand the problem you describe, but it sounds like something wrong with the SWITCH statement. When you hardcode the SWITCH, it works. Is that correct? If so, I suggest you create a test measure to see what is happening with your switch test. Return the actual value to your Matrix instead of the icon and see what is happening. I hope that makes sense. Why is the UNICHAR function not available if I’m using a LIVE connection in PowerBI? I can only use it when using a IMPORT connection. I building a dashboard that is using a tabular model on SSAS, and I’ve opted to use a LIVE connection. I’m still very new to PowerBI, and still trying to play around with what connection to use when. I believe my measures work as shown above. I can’t say what is wrong without seeing what you wrote in the context of the data model. There are lots of things that can go wrong with measures. Great article Matt. Came across it after Reid Havens credited you at the Power BI World Tour. Keep up the great work.